What is common between marriage and recruitment process outsourcing? They're both relationships that need to be set right and worked on. When you get started with a new relationship, it’s the honeymoon phase. You know, when the relationship is new and everything is rosy. But once the honeymoon’s over, you need to be sure you’ve picked a good a partner for now and ever after. In this very informative (yet playful) presentation, Cory Kruse, COO and Jen Iliff, VP Marketing for Novotus present the various components of RPO and provide a basic overview of selecting an RPO provider. Cory Kruse is Chief Operating Officers for Novotus. 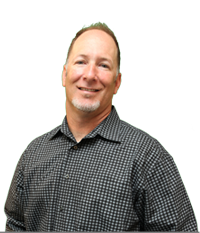 He manages and drives all corporate operations and talent acquisition strategies. Kruse brings to Novotus over 15 years’ experience guiding top-tier companies and managing talent acquisition programs, most recently leading both national and international RPO engagements for companies such as Superior Energy Services, Vignette Corporation, Gevity, KB Home, and Intuit. As an accomplished recruitment strategist and fulfillment expert, Kruse brings a unique blend of strategic, technical, and operational strengths which has driven notable growth in environments ranging from start-ups to enterprise solutions for Fortune 100 companies. Jen Iliff is the Vice President of Marketing for Novotus.Iliff is a veteran marketing professional and the founder of 3X Marketing, an outsourced marketing solutions company. 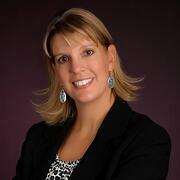 She has over 15 years of sales, marketing, public relations and corporate communications experience. Her career includes serving both business-to-business and business-to-consumer companies across a variety of industries. Iliff has directed the marketing and public relations activities for leading Recruitment Process Outsourcing providers and has specialized in various facets of the recruiting industry. Earlier in her career, she held senior marketing and sales management positions at a leading midwest regional bank.